With over 500 million monthly active users, it’s safe to say that Instagram is an invaluable source of consumer traffic. As a very active photo-sharing social network app, Instagram is a great place to attract users through vivid and appealing photos; and with an Instagram dashboard, you can see what kinds of images your audience reacts to and engages with, making it easier to build up your following. Create your Instagram dashboards today! 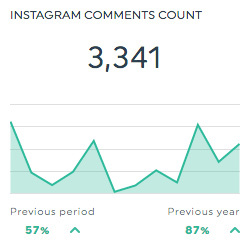 This historic widget shows the total number of comments your Instagram content receives. 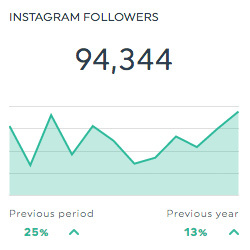 This historic widget shows the total number of followers your Instagram account has. 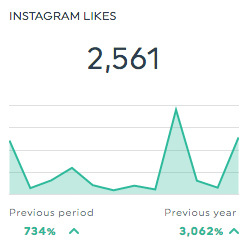 This historic widget shows the total number of likes your Instagram content receives. 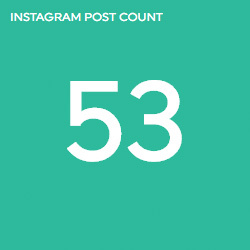 This number widget shows the total number of posts in your Instagram account. Want to see all our Instagram preset widgets? This shows the total number of comments. This shows the rate at which people interact with your content. This shows the total number of followers of your account. This shows the total number of likes. This shows the total number of posts in your account. This dimension allows you to isolate your data based on post URL link. This dimension allows you to isolate your data based on post text. This dimension allows you to isolate your data based on the type of post. This dimension allows you to isolate your data based on post tags. Want to see all our Instagram metrics, segments, & dimensions? How do I create custom dashboards using the Instagram API?